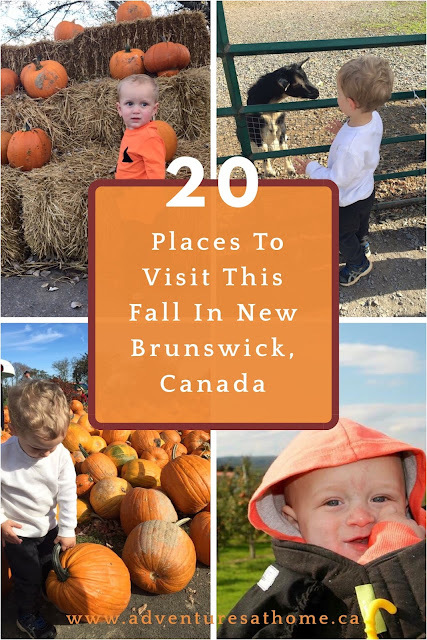 20 Fun Places To Visit In New Brunswick This Fall! My favorite time of year is upon us, friends. The air is crisp and cool, the leaves are changing color, and yes, it's FINALLY sweater weather. Ahhh Fall. I'm pretty lucky to live in the province of New Brunswick, Canada, where we have the most beautiful Autumns, and lots of places within the province to explore. There's no way I could list all of the amazing things to see and do in this wonderful province, so I want YOU to comment below and tell me you're favourite place to visit in NB in the Fall!